While other networks frantically spin their wheels with one-dimensional on-screen pop-ups and live Twitter streams, the creative team at AMC merges content and digital media to redefine the way people watch, and engage with, their favorite shows–giving “Walking Dead” fans plenty of new stuff to chew on. How do you create a truly interactive television viewing experience without detracting from the program itself? AMC Networks seems to have found the answer. While other networks are frantically spinning their wheels with one-dimensional on-screen pop-ups and live Twitter streams, the creative team at AMC is merging content and digital media to redefine the way people watch, and engage with, their favorite shows. 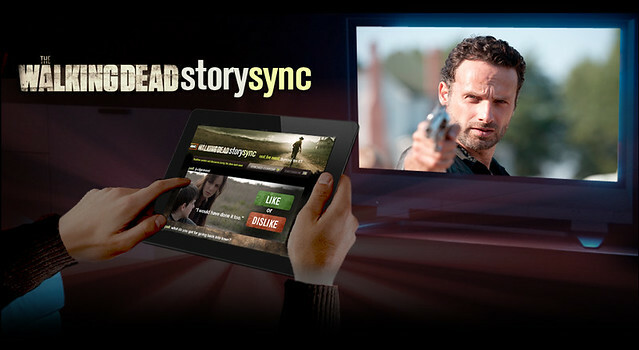 During season two of The Walking Dead AMC launched Story Sync–an online platform where fans can use their laptops, smartphones, and tablets to participate in snap polls, learn show-specific trivia, and access exclusive video while watching the premiere broadcast of the latest episode on air. “We wanted it to look like The Walking Dead, to feel like The Walking Dead. We wanted to keep the audience engaged with the experience,” said Mac McKean, Senior Vice President of Digital Media and Content for AMC Networks. “We started with the content instead of worrying about what technology would (or wouldn’t) allow us to do. We knew the show would lend itself to the experience and that we had a huge and super-passionate fan base who would want to do it.” But the look and feel is only one part of what makes AMC Story Sync so unique. The timing of each nugget of interactive content is designed to complement the natural flow of each broadcast, not compete with it. 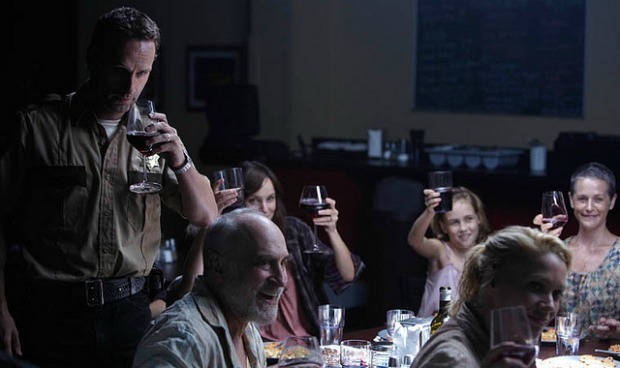 By syncing the two, AMC allows fans to actively engage with the intense, emotional moments in the show, without having to worry about keeping one eye on the TV and one eye on a computer screen. Social media helped lay the groundwork for interactive viewing by making it possible to share tweets and status updates in real-time with other fans of the show–something AMC wanted to build on when they designed their second-screen Story Sync platform. “We knew fans were already on their computers, tablets, and smartphones. They were tweeting the big moments from the show. When we were developing Story Sync, we wanted to give them something to do that was going to enhance their viewing experience,” added McKean. Establishing a new standard for broadcast and digital. With The Walking Dead, AMC has created a digital media juggernaut that includes a diverse mix of talk forums, social gaming, e-newsletters, multimedia magazines, video, and blogs. They’ve found a way to use online content to enhance the program while ensuring those who don’t visit the site won’t miss anything integral to the show. Other networks should take notice–the future of interactive viewing is now and static “Follow Us on Twitter” pop-ups aren’t going to cut it. Rapid advances in touchscreen technology and the widespread adoption of tablets (namely the iPad) are only going to accelerate changes to the way people watch and interact with on-air broadcasts.